Dinner parties were once one of the most common forms of entertainment in this country. Homemakers would set their tables with their finest dinnerware, make their favorite recipes, and invite some of their closest friends over for an evening of cocktails, delicious food, and great company. Some of my most favorite pictures are of my grandparents hosting dinner parties back in the day. The women in the photo’s wore pretty dresses and heels, and the men donned dress slacks, dress shirts, and ties. And as you can imagine, the photo’s depict adults having a great time dining and socializing. With entertaining on my mind, I have invited some of my closest blogger friends to help me host a virtual Fall Harvest Dinner Party. 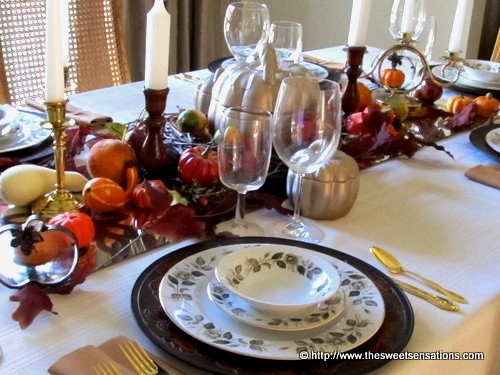 Each dish, including the table décor, signifies our beautiful fall season. If you’re looking for Thanksgiving dinner ideas, you’ll likely find something from our dinner that you can put to good use later. I am sharing just a tease (here at The Joy of Caking) of our dinner and the bloggers who helped make this all possible. For loads more pictures, recipes, and to get to know each of these great blogger friends of mine better, please visit each of their sites. I promise not to disappoint you!. Our dinner party begins with a beautiful Festive Fall Table created by Sandra of Sweet Sensations. Sandra has a real knack for coordinating and designing some of the most beautifully decorated tablescapes I’ve ever seen. She claims it is nearly impossible for her to separate herself from the world of sweets and parties and I believe it! Have you ever seen the beautiful cakes she makes? 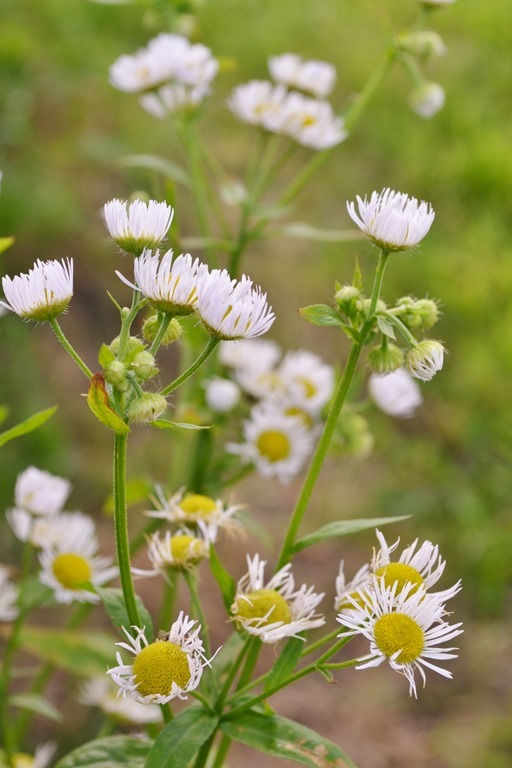 Sandra blogs to us from Michigan, and she tells me that her regular job as a fitness professional allows her to indulge moderately in all things sugar – lucky girl! She say’s “it’s a good thing that I’m as passionate about working out as I am passionate about sweets!” I only wish I could say the same Sandra. I ask you, what’s a dinner party without a cocktail or two? 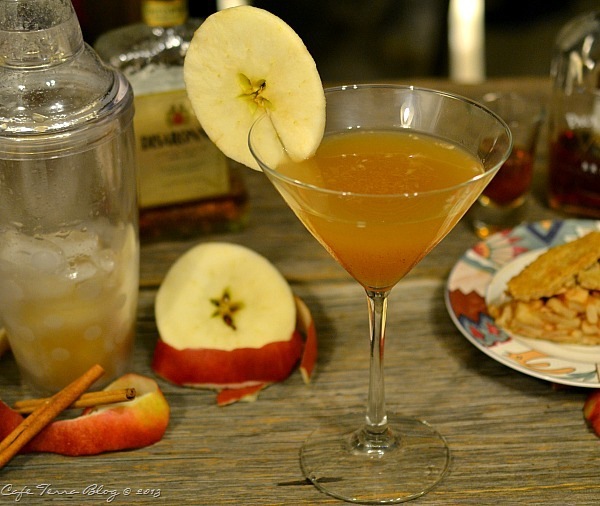 This scrumptious looking Apple Pie Cocktail with a Twist is brought to you by Terra of Café Terra Blog. This cocktail looks like it would wet just about any whistle. I know it would mine! In my opinion, Terra is the ultimate cocktail queen – at least she is in North Carolina where she happily resides. If you can think it; she can mix it! 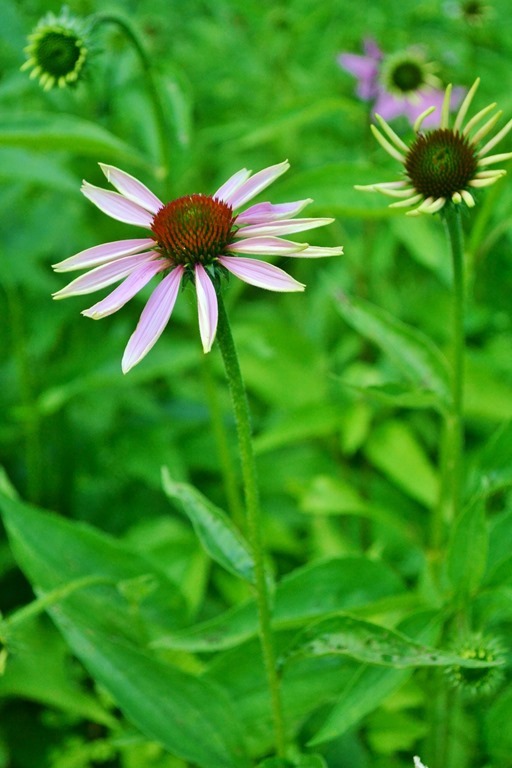 Terra has been blogging for over three years. By day she is a food safety/quality assurance specialist that checks on restaurants and hotels. As a recipe developer, Terra say’s “I have discovered I love baking/cooking with booze. So to add to my list of fun, I started creating cocktails with all the extra booze in my bar!” Keep um coming Terra! When Dionne from Try Anything Once Culinary graciously offered to make us one of her yummy appetizers for our dinner I couldn’t wait to see what she would bring. This French recipe for Eggplant Caviar sounds so unique and delectable. I love the creativity that flows from Dionne’s kitchen, and I drool over all of the belly filling food she shares. Dionne say’s “I love writing, cooking, eating and photography. Strengthening my culinary skills was something that I found myself doing after my daughter was born. It was something that we could do together, no matter what our financial situation, and we could have that in common.” Dionne operates their family by day and squeezes in time for food blogging when she can. She’s a very busy girl especially since her and her “other-half” co-founded No More Hungry Nights in the state of Washington, an organization dedicated to ending hungry nights one house at a time. They provide food donations, job connections and even training for local families in their community. KUDO’S to both of them for taking on such a huge problem! I know that a new mom like Monet, from Anecdotes & Applecores, is probably more focused on feeding her sweet little Lucy than helping host a fall dinner party – but Monet is an amazing girl. She always bakes delicious treats and writes from her heart – two of the things that I enjoy immensely about her. 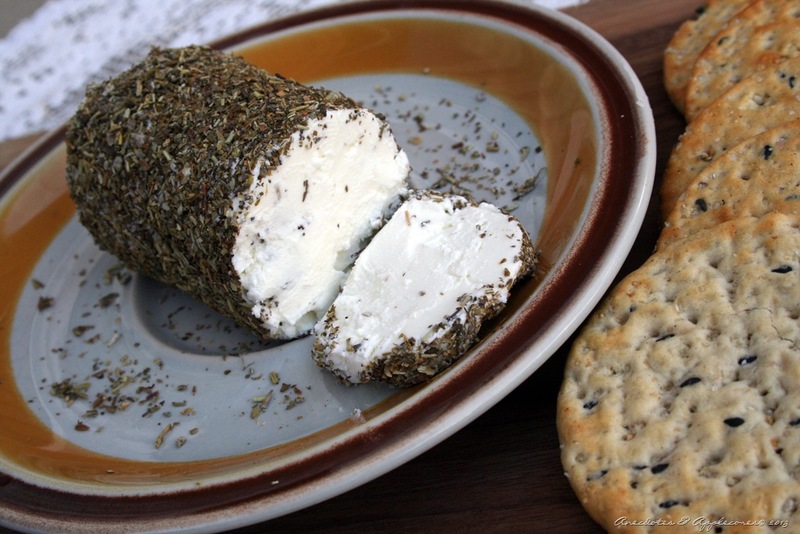 Today, she brings an enticing Goat Cheese with Herbs de Provence to our dinner table. While this recipe sounds like a fancy and time consuming appetizer, I’m sure she will tell you otherwise. Monet writes and bakes in colorful Colorado. She just recently finished her MFA in Creative Writing and she is currently working on a memoir about food and family. Monet invites you to visit Anecdotes and Apple Cores where she say’s, “I share simple recipes that are meant to be shared.” And while your there, be sure to ogle (like I do) over sweet little Lucy! Amy, aka “Ms. 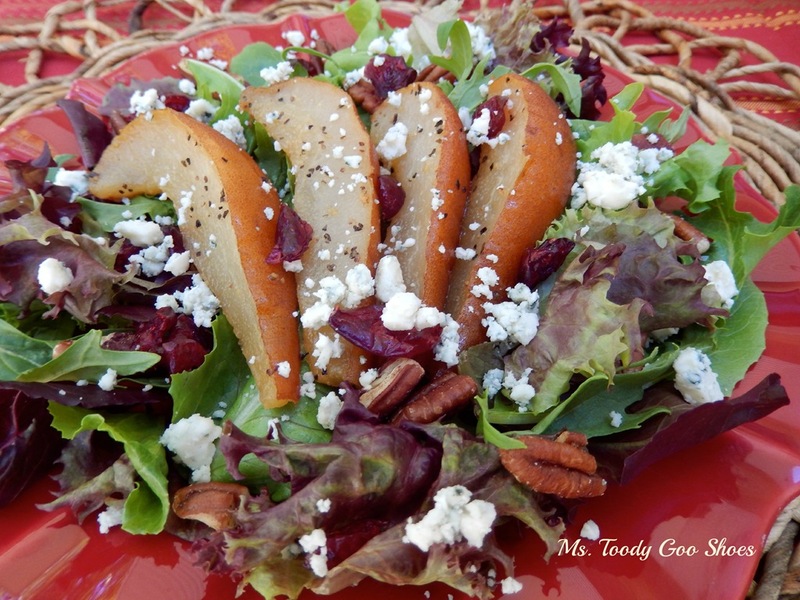 Toody Goo Shoes, has created a sapid Roasted Pear Salad with White Balsamic Vinaigrette for us to feast upon. After a lengthy career in the TV industry, Amy reports that she has ”hung up her dress-for-success clothes and pulled her domestic ‘genes’ out of storage.” Now that she isn’t rushing off to catch the 7:52 every morning, she spends her time writing from her home in New Jersey about the things she always wished she had time to do when she was working; like baking, traveling and interior design. Amy’s great sense of humor and her creative writing skills make me laugh and keep me coming back for more. And I haven’t even mentioned all of the other attractions she shares on her blog; like recipes, home decorating ideas, and her road trips! Jeanne is the author/blogger behind Inside NanaBread’s Head. 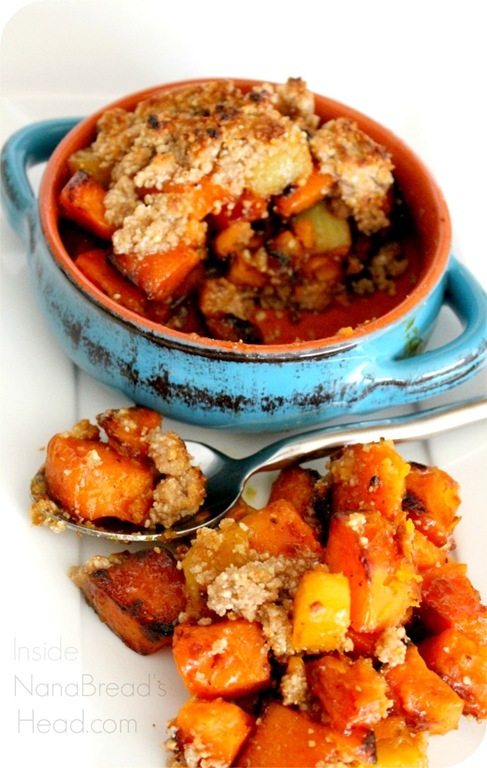 For our fall dinner she has prepared Roasted Sweet Potatoes & Pineapple with Almond & Honey Streusel – yummy!! 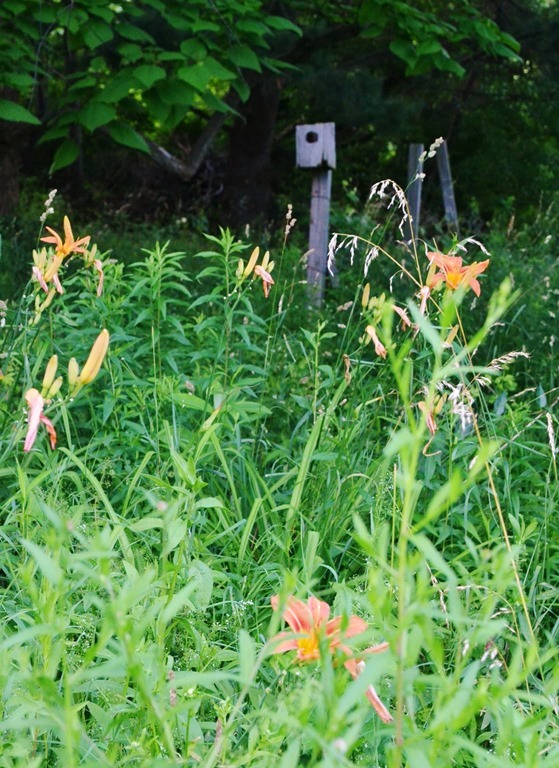 Jeanne compares her blog to her junk drawers – filled with tidbits, trash & treasures – so open with caution; you never know what might fall out. I can completely relate to that! 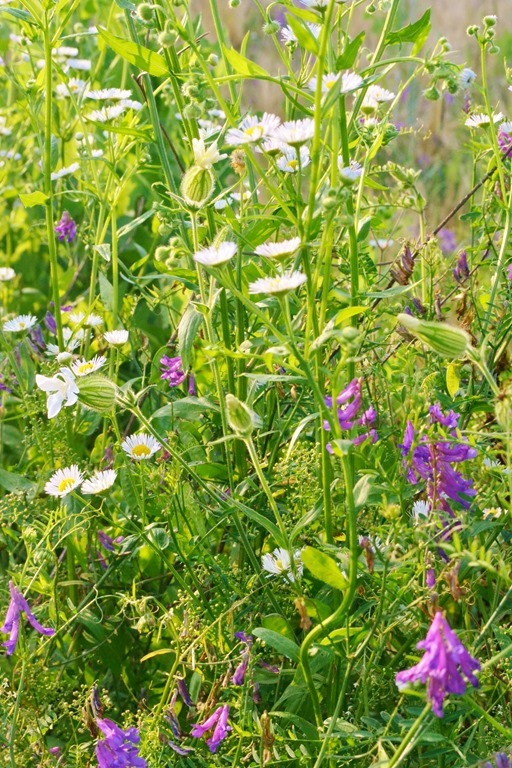 She writes from the big state of Texas about the things that make her world brighter. 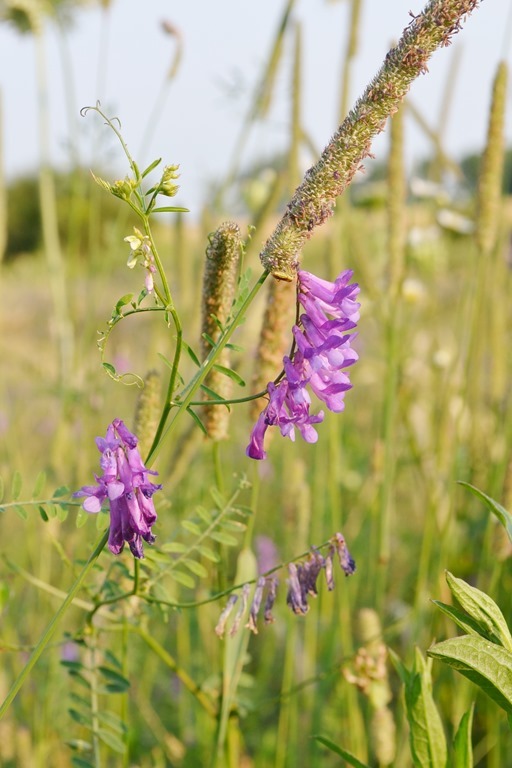 Jeanne’s blog is much like mine in that she offers a little of everything – food, family, travel, an occasional craft or sewing project. On occasion you may even get an update on the mildly exotic fruit that they grow; including pineapples, bananas and a new papaya tree. Jeanne say’s she’s “prone to bouts of sarcasm, and believes that a good sense of humor is one of life’s greatest gifts.” She’s always made me feel very welcomed at her blog, and she once told me if she ever wins the lottery she’s inviting me to a “girl’s getaway” she’s planning. Hey, you never know! 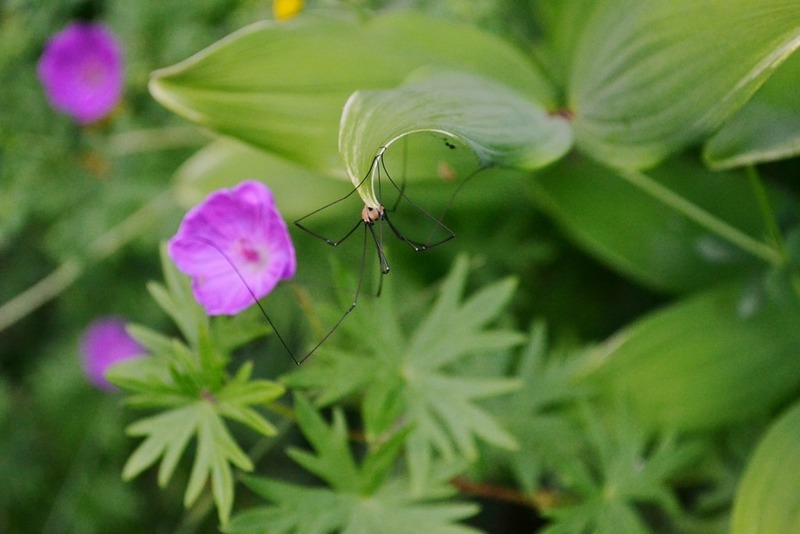 Drop by her blog for a visit, poke around for a while, and say hello. Her door is always open. 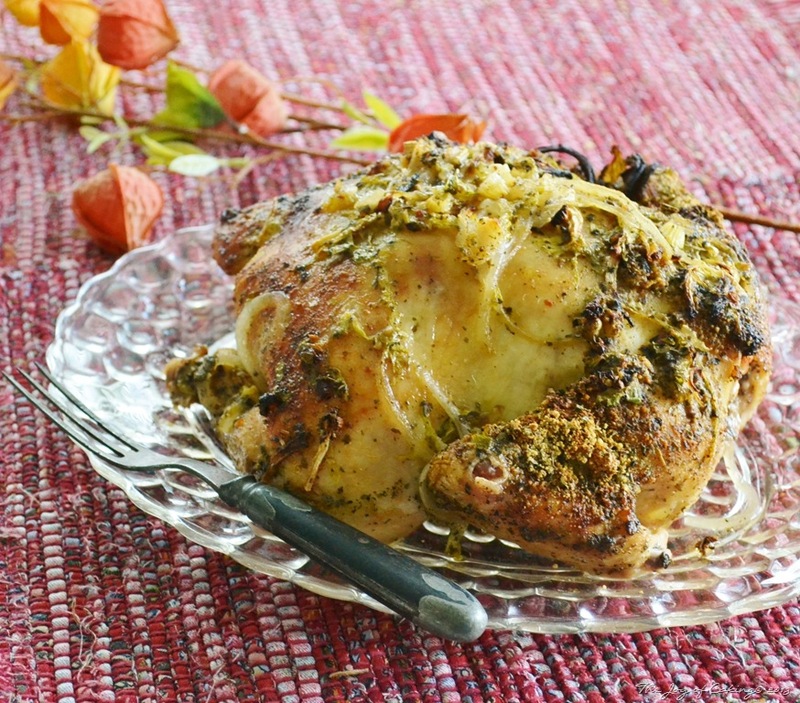 My contribution to our dinner is a Crusted Garlic Parmesan Roasted Chicken. Since I’m the baker in our house, and my hubby is the cook, I asked him if he would mind helping with the entrée for our dinner. Since he loves to cook, he was more than willing to roll up his sleeves and help out. I’m so fortunate because the two of us can work side by side in the kitchen and produce some pretty tasty meals together. Since this is a super long post I am going to be sharing his recipe in a new post tomorrow – so be sure to stop back for it! 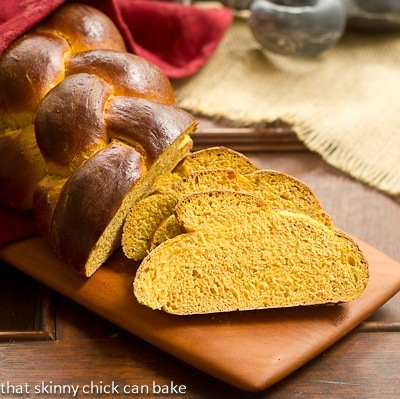 Liz of That Skinny Chick Can Bake brings a beautiful and flavorful Pumpkin Challah to our table all the way from Indiana. Liz credits her mom as being an amazing cook, but not much of a baker. She say’s, “when my sisters and I yearned for a sweet treat, I turned to our trusty BH&G cookbook and zeroed in on the dessert tabs. My love of baking began in my childhood kitchen.” She married a chocoholic and together they had 3 children with plenty of sweet teeth. 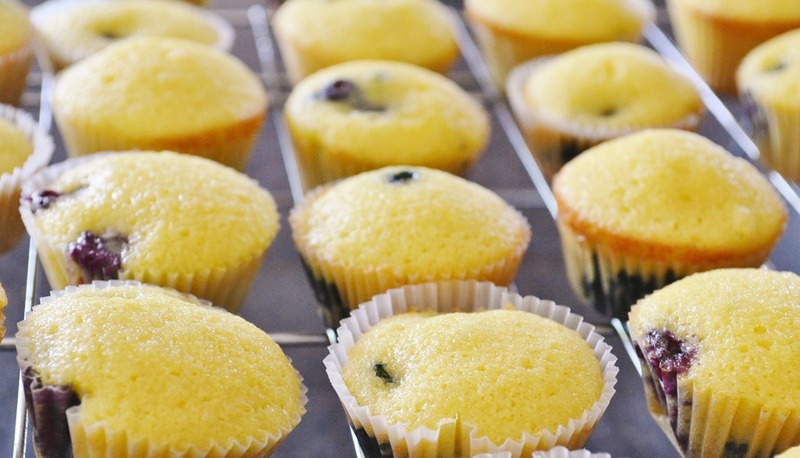 Liz began blogging in 2010 (the same year I did) to chronicle her baking journey. She amazes me because I don’t think there is a day that goes by that she doesn’t post something delicious on her blog. I love reading all the great stories she shares with her great recipes. Drop over and say hi, and ask her how many times she’s had a fire truck at her house. 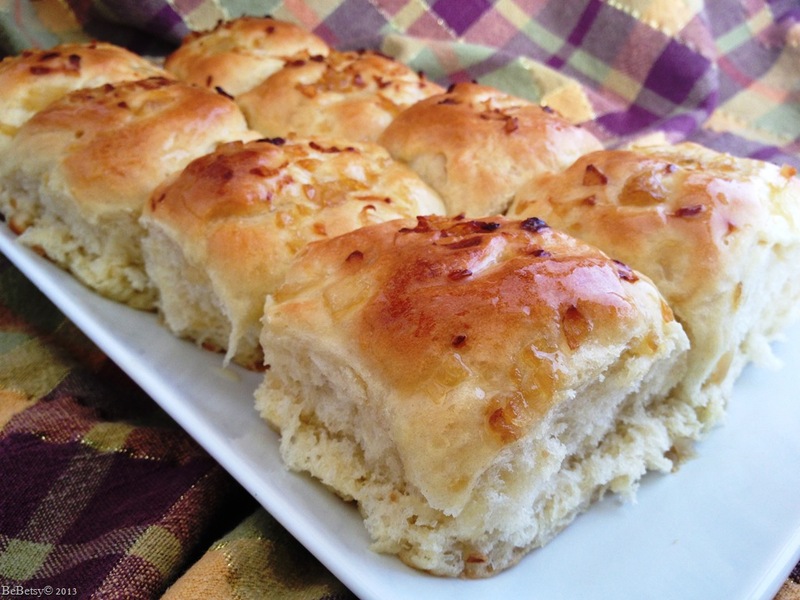 Sharon and Denise are the makers of these tender and buttery Onion Rolls. Did I mention I love Onion Rolls? Both are sisters born a scant 17 months apart, best friends, and the brains behind BeBetsy. BeBetsy is a place to find fabulous food, flirty fashion, beauty trends, creative artists and a lot of inspiration! Both gal’s tell me that they “like the idea that a modern woman can have a career, then carry her baby or grandchild on her hip wearing a fabulous dress and heels (or flats if her feet are killing her) and all the while admitting that she loves to cook, sew and garden, and finds the greatest joy in friends and family.” I enjoy dropping by and linking up to their linky party every Tuesday. It’s called Brag About It. Please feel free too do the same! Lucky for me, these two ladies from the Wild West (Utah and Nevada) have become great long distance friends of mine. 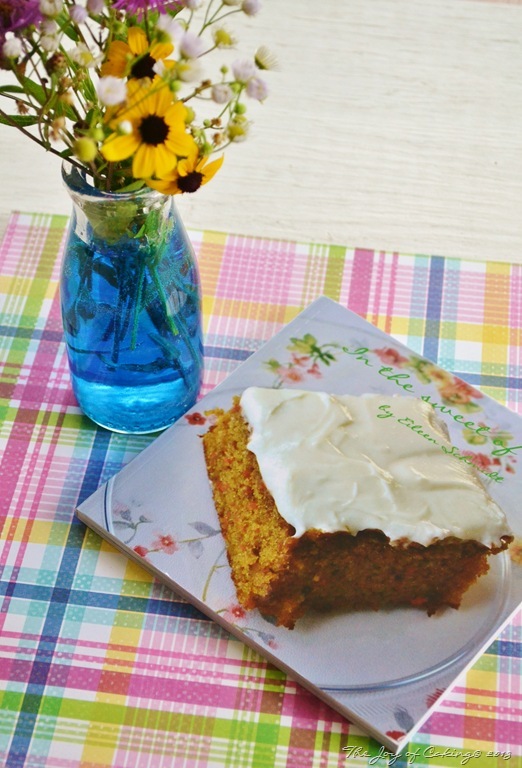 Anne, a baker and blogger From My Sweet Heart, resides in a suburb of Washington, D.C. Her dish to pass is my favorite part of any meal – dessert! 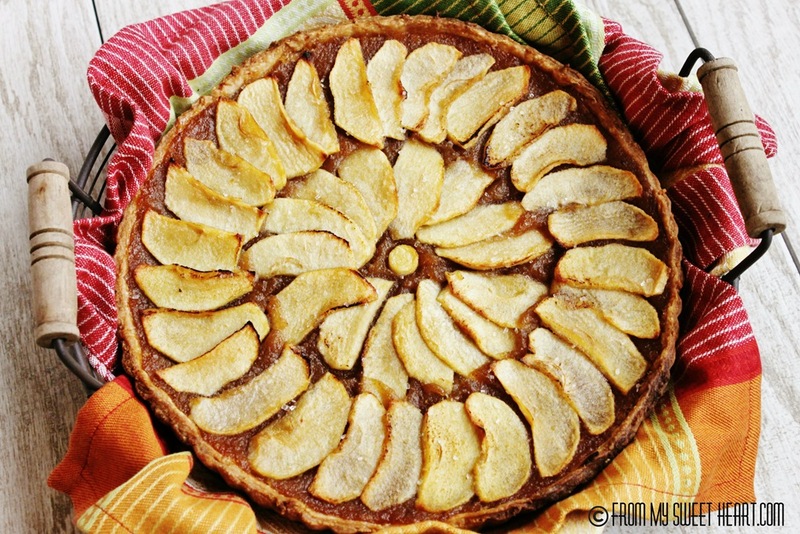 I can almost smell Anne’s Cinnamon Applesauce Tart, can’t you? 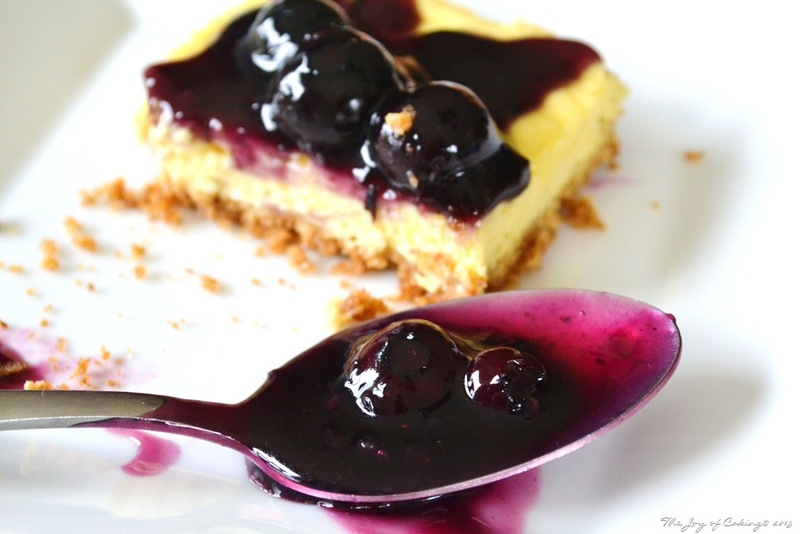 Anne admits, “I grew up in a generation where you always had dessert; even if it was after a weeknight supper; and even if it was only Jell-o. And to this day, when I dine at a restaurant, I always glance at the dessert menu first! I began baking later in my life.” I can completely relate to what Anne says about always having dessert – that’s the way I remember it too! She and I both appreciate vintage kitchen items and you will likely see many of them in the beautiful photographs that she takes for her posts. Ann amazes me because she has a job that keeps her very busy by day, and yet she still manages to produce some of the most perfect looking desserts that I’ve ever seen. Grab yourselves a cup of coffee and head over to From My Sweet Heart for a slice of this delicious tart. Thank you for coming to our Fall Harvest Dinner. We all hope you have enjoyed yourselves, but remember it’s not over yet! Hop on over to each of my friends blogs and pick up their scrumptious recipes for this meal, along with Sandra’s tips on setting a winning table. And if you forgot to bring a hostess gift don’t fret; just pin, tweet, or Facebook our party and we’ll forgive you! On October 23rd, some of my favorite bloggers will be showcasing their awesome hard work here, and on their own blogs, as we host our first virtual fall harvest dinner party. It’s going to be a fun filled and delicious dinner that you won’t want to miss. During this virtual party we will show you how to set a winning table, mix the perfect fall cocktail, and we’ll share an array of scrumptious recipes that you’ll be proud to serve at any dinner you host. 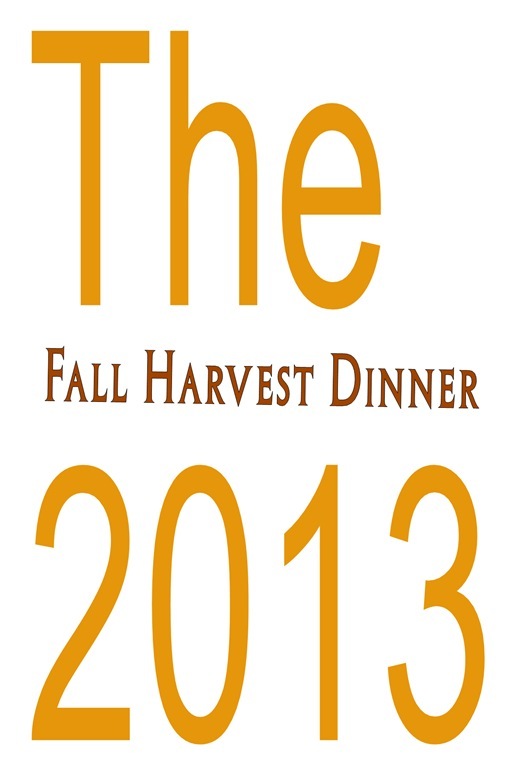 Please consider this your official invitation to The Fall Harvest Dinner 2013. We can’t wait to see you there! Today is the 1st of October and I’m excited. September was a crazy month for me, I didn’t get to spend much time with my blog, and I plan to make up for that this month. First, something new will be added to the Mercantile because the auction for the craft/sewing notion jar has officially ended. Thanks for all your bids! It’s been so much fun watching the bids come in and reading your comments. I hope the lucky winner (who is being notified by email) will enjoy their jar of notions. Also this month, I’ve conspired with a bunch of GREAT BLOGGERS and we will be hosting a virtual fall harvest dinner party that is bound to help jump start your Thanksgiving Day menu planning. Sandra from Sweet Sensations will be setting our table for this event. Terra from Café Terra will be mixing up one of her amazing cocktails for us. Monet from Anecdotes and Applecores and Dionne from Try Anything Once Culinary will be whipping up tasty appetizers that anyone would gladly sample. Amy from Ms. Toody Goo Shoes will be making us a beautiful and delicious fall inspired salad that sounds like a meal in itself. 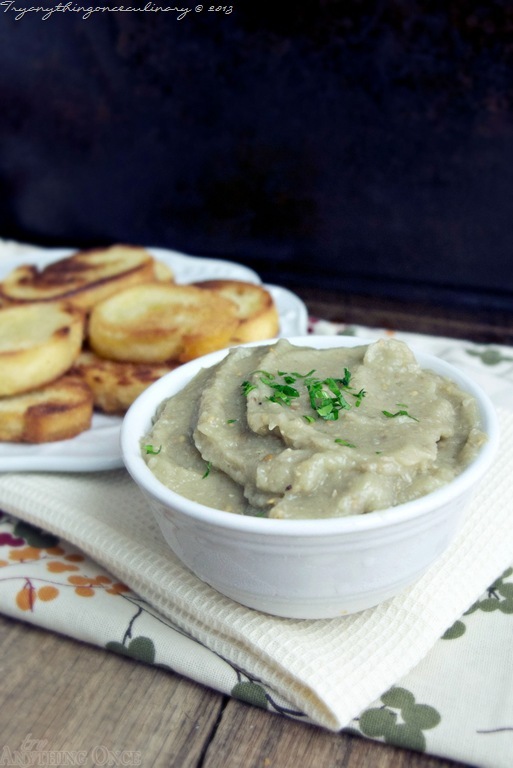 Jeanne from Inside NanaBread’s Head will be sharing one of her scrumptious side dishes – and hint, she grows at least one of the ingredients that she will be using in her dish. Sharon and Denise from BeBetsy, and Liz from That Skinny Chick Can Bake, will be surprising us with something yummy from their bread baskets. And last but not least, Anne From My Sweet Heart will complete our meal with one of her insanely enticing desserts. I don’t know about all of you, but I can’t wait! 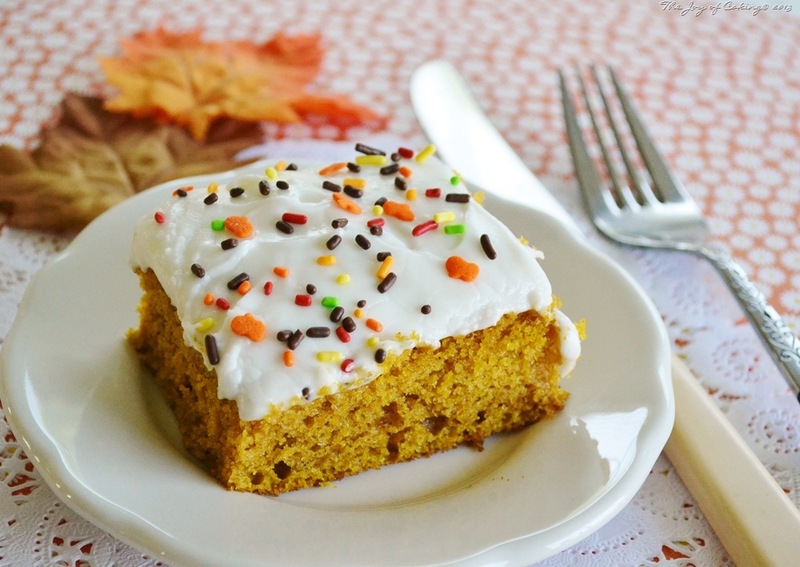 So, let’s get this month started with a great recipe for Homemade Pumpkin Spice Cake. This recipe was adapted from Better Homes and Gardens Pies and Cakes cookbook. It’s super moist and perfectly spiced. If you’re a raisin or nut fan, throw in a few of each. They can only make the cake that much better. Generously grease a 10”x14” cake pan with margarine. Preheat oven to 350 degrees. In a large bowl, cream margarine and sugar until fluffy. Add eggs; beat well. 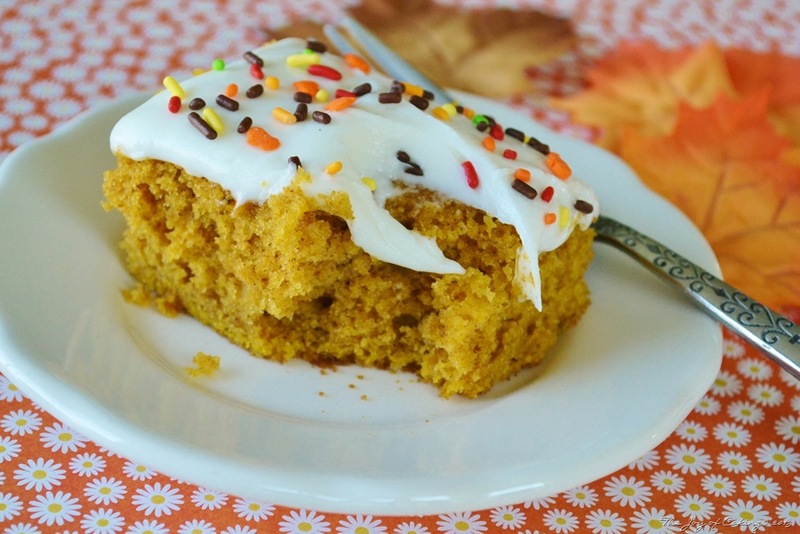 Mix in pumpkin, baking powder, baking soda, salt, pumpkin pie spice, and vanilla. Alternate adding flour with milk and beat thoroughly. Pour batter into prepared pan and bake approximately 20 minutes, or until toothpick comes clean when inserted into the center. Cool slightly and cover with plastic wrap. 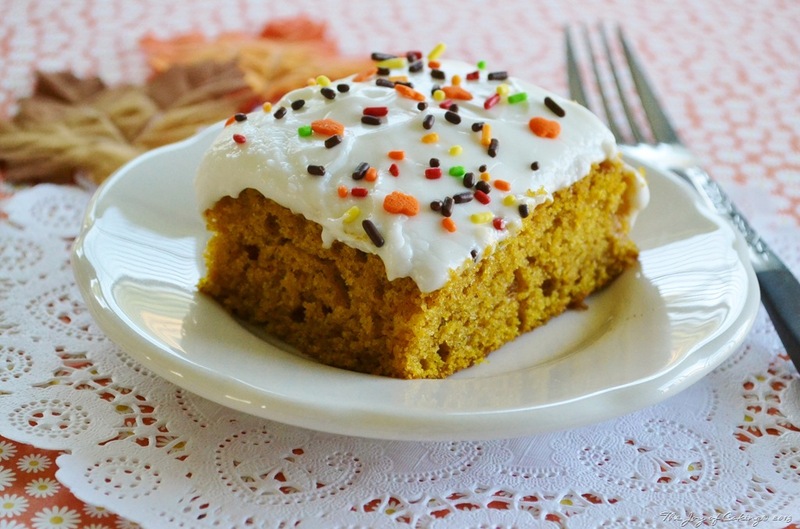 Once cake has completely cooled, frost with your favorite cream cheese icing. It’s officially fall (in my mind). We don’t need a confirmed date on the calendar to substantiate that. Do we? After all, it is the 3rd of September, the kids are back in school, the morning air is crisp and cool, and I’m looking forward to apple and pumpkin everything. It’s funny how the changing of our seasons brings about subtle changes in our lives. Changes that most of us embrace without much thought. How many times have you opted for a new hair style for the summer months, scoped out a new menu for chilly autumn nights, looked for that perfect winter coat for the coldest months of the year, or decided to take on the challenge of a good spring cleaning of your house? With fall (here) I’ve been thinking about change too. I’ve been thinking of ways to shake up the content on my blog a little. I’m not talking about writing politically controversial posts that would ignite a spark or a wildfire. Although, every once in awhile I’m tempted by to do something like that because I love a good debate, and I like to use that part of my brain that doesn’t get exercised nearly enough. I know – curse me if you must. With my thinking cap on, I have a couple ideas that I’d like to implement here in the future. If I do, I may even ask for your help in orchestrating some of them. Are you game? In the meantime, while I’m working all of that out in my head, let’s get down to business. Cookie business. These cookies are the result of me having a craving for molasses cookies. 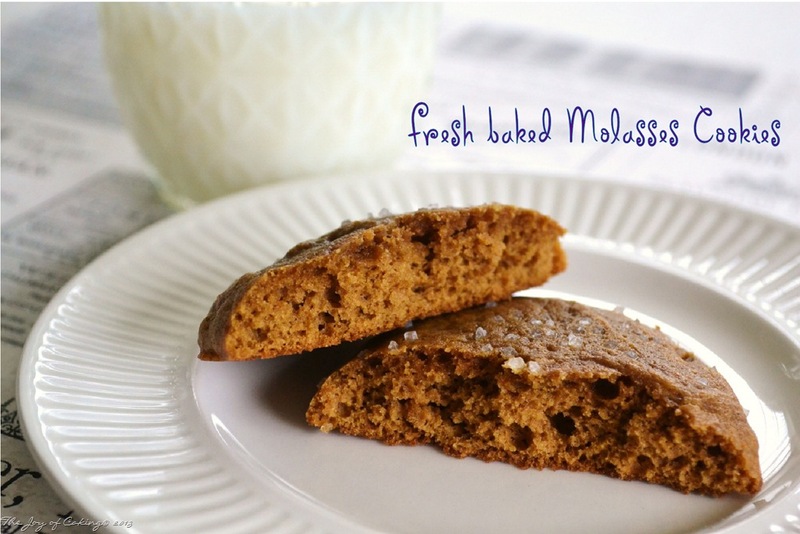 It’s not like I haven’t made molasses cookies here before – twice actually. I do fear that these cookies have just moved to the front of the line though. Probably because there is an ingredient in these that you won’t find in the other two cookies that I’ve made. Coffee! This recipe is simple to make. One bowl actually. Drop, not roll, too. The flavor is especially good, and I’m really drawn to the texture of this cookie. One of my other recipes produces a chewier, flatter cookie. I do like those too, but I think that if both cookies were sitting next to each other on a plate I’d choose this cookie over the other just because of the texture. 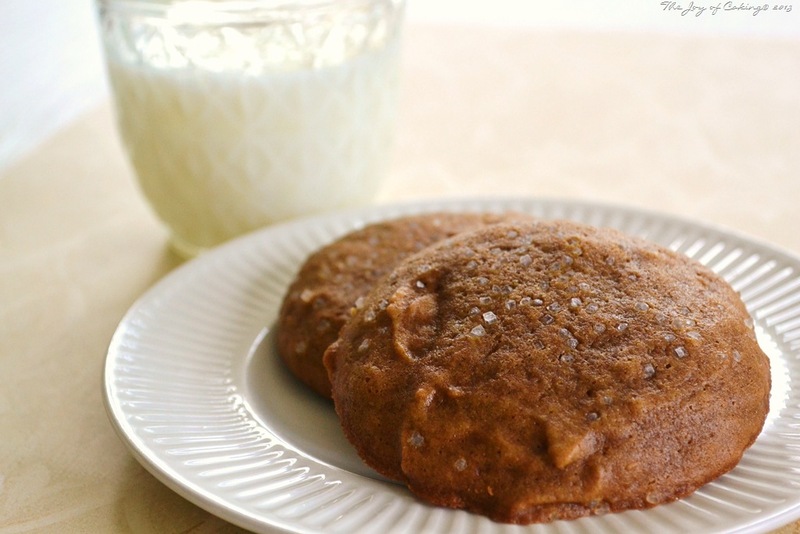 I know that’s not true for everyone though, so here is the recipe for my chewier, flatter molasses cookie. In a large bowl, add all of the ingredients except the flour. Mix well with electric mixer. Beat in 1 cup of flour at a time until they are all mixed in thoroughly. Let dough rest for 15-20 minutes and preheat oven to 350 degrees. Drop onto prepared cookie sheets using a dining tablespoon. Sprinkle with course sugar. Bake for about 8-10 minutes, or slightly firm to the touch. Cool on cookie trays for several minutes before transferring to baking rack. What kind of cookie texture do you like? Does it depend on the type of cookie, or is it across the board? 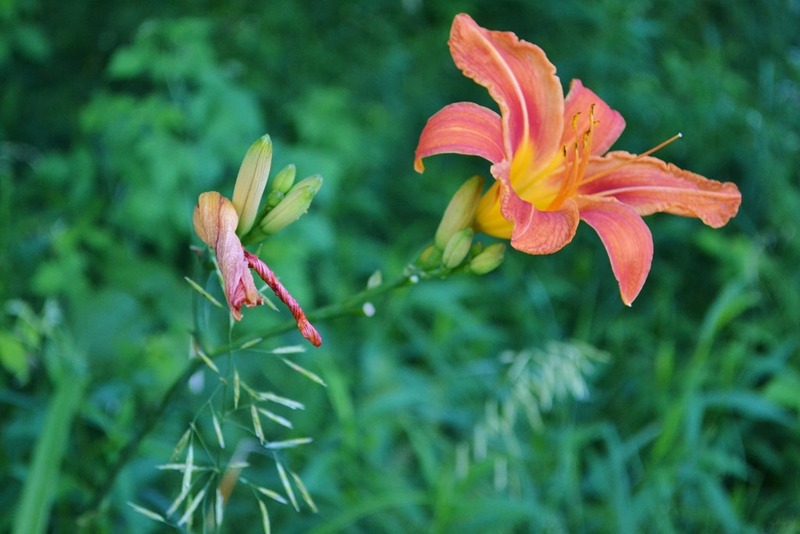 Anne, one of my most favorite bloggers From My Sweet Heart inspired me to write this post. (She just doesn’t know it yet.) All it took was one look at her Vanilla Bean Cheesecake with Strawberries and I knew that I needed to make something cheesecakey too. With a shortage of time and baking supplies I decided to make these Vanilla Cheesecake Bars to hold me over until I get around to making Anne’s delicious recipe which I’ve filed away for future use. 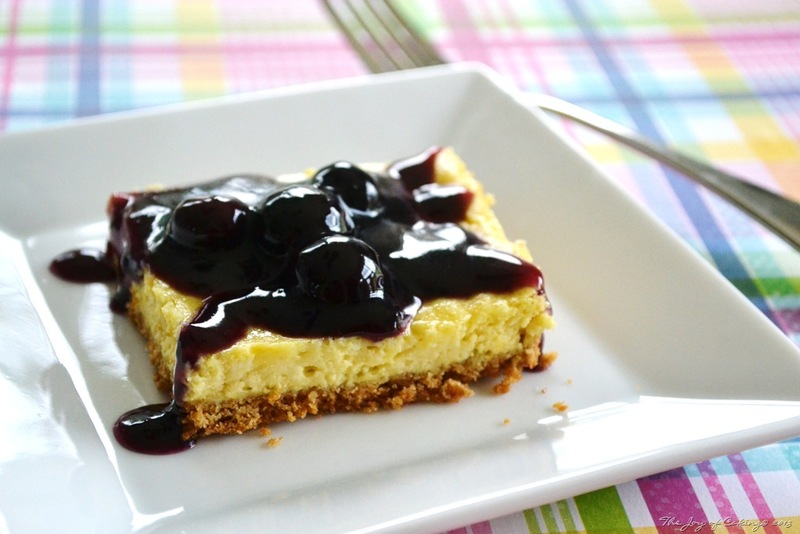 Typically, I make individual mini cheesecakes but this time I made the recipe into bars. *Please note – if you opt to make bars instead mini’s you will bake them in a 9”x13” foil lined pan. Spray the foil with non-stick cooking spray and bake the bars for about 25-30 minutes, or until a toothpick comes clean when inserted in the center. The foil helps you lift the baked bars out of the pan for easy cutting. 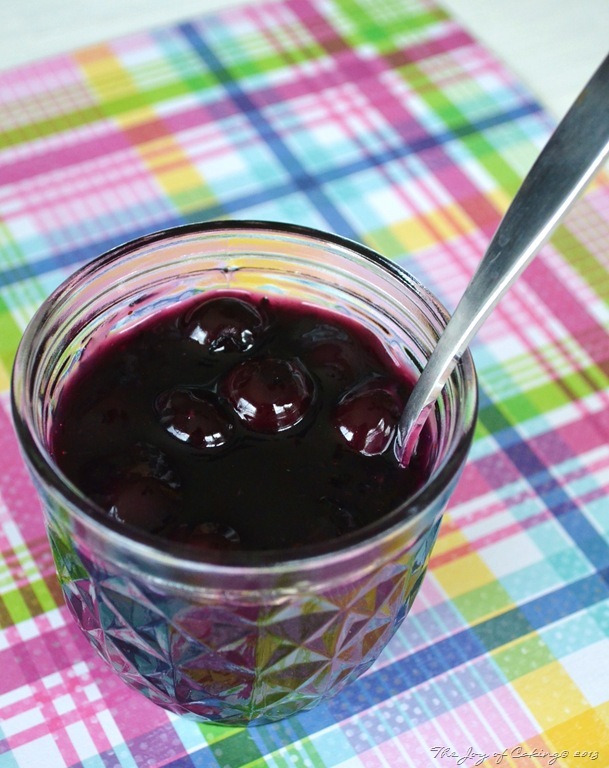 And for this delicious Blueberry Sauce? The recipe can be found below. In a large saucepan, add crushed berries, water, sugar, and cornstarch. Mix ingredients using a whip until cornstarch is completely dissolved. On medium heat, bring mixture to a boil and stir constantly until it thickens. Add in whole berries and remove from stove top. Stir in butter, vanilla extract, and food coloring. Keep in the fridge until ready to use. Re-warm in microwave if desired. Oh, and I almost forgot, this topping is also great on ice cream too! 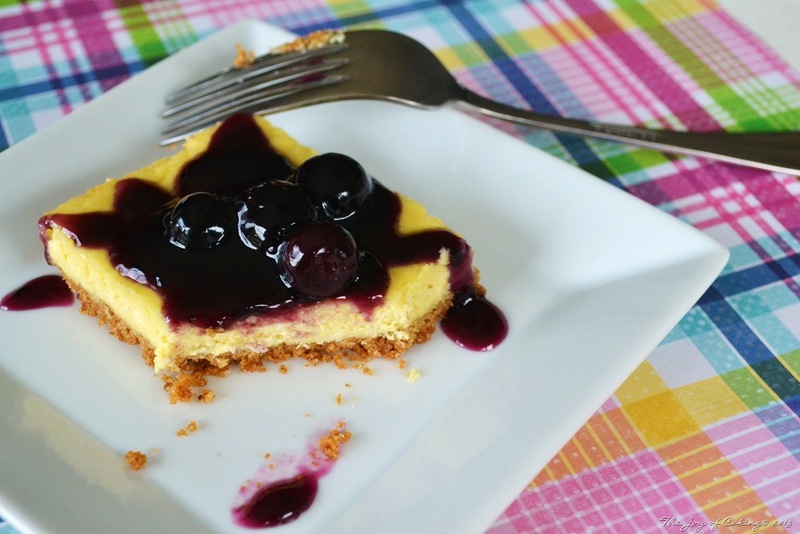 What is your favorite flavor of cheesecake? And what is your favorite topping?